8.5 x 11" 12 x 15" 12 x 3 x 18" 13 x 3 x 21" 16 x 4 x 24" 20 x 4 x 30"
Buy More HD Recycled Plastic Bags Save More! 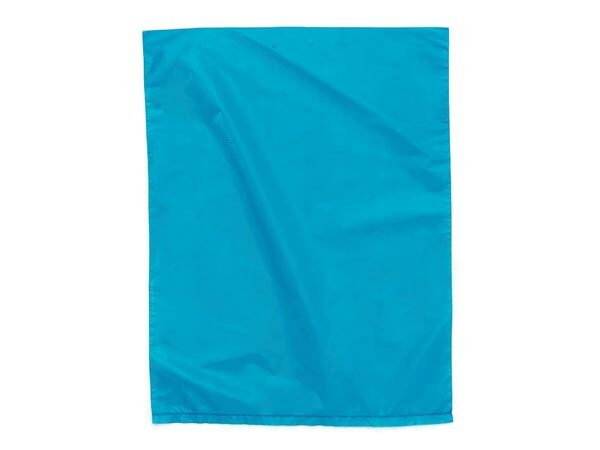 8-1/2" x 11" Teal Hi-D Plastic Bags are made from 25% recycled plastic. Yes! We can print it! Personalize your bags with a company name and/or logo for great advertising. Call our Custom Print Department at (800) 547-9727 ext. 4 for details. These High Density (HD) Polyethylene bags are quality bags designed for specialty retailers. Made in the USA in a top rated environmentally efficient facility from 25% Recycled materials. Inexpensive plastic bags, but top quality and durable. Note: Sizes 4, 5 & 6 have die-cut handles.